“Kara-mon” gate at Ninomaru-goten (Ninomaru Palace). 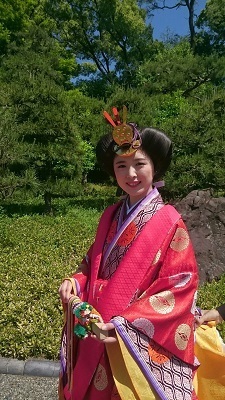 A beautiful wig called “Osuberakashi” by Kyokatsura Imanishi. 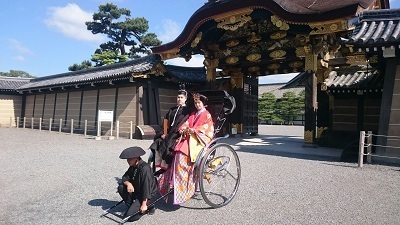 We conducted photography of Juni-hitoe and Sokutai (=Japanese ancient court dresses) at the world heritage site, Nijo Castle on May 12th under the perfect blue sky. 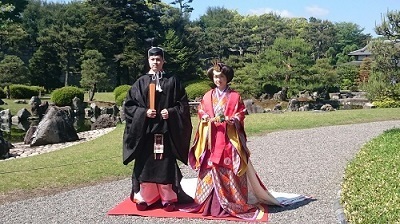 At Nijo castle, you can wear gorgeous Juni-hitoe and Sokutai that represents Japanese traditional culture. A civil wedding at the beautiful and important historic site which has been witnessed all the changes of the time will surely be an unforgettable memory. We would like to thank for those who helped the photography today. 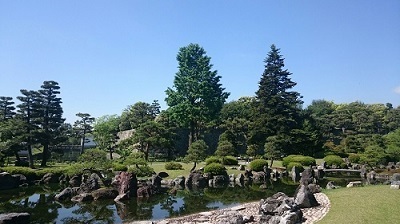 We will hold a wedding consultation meeting at Nijo Castle.